In the north of England lies the small town of Halifax. 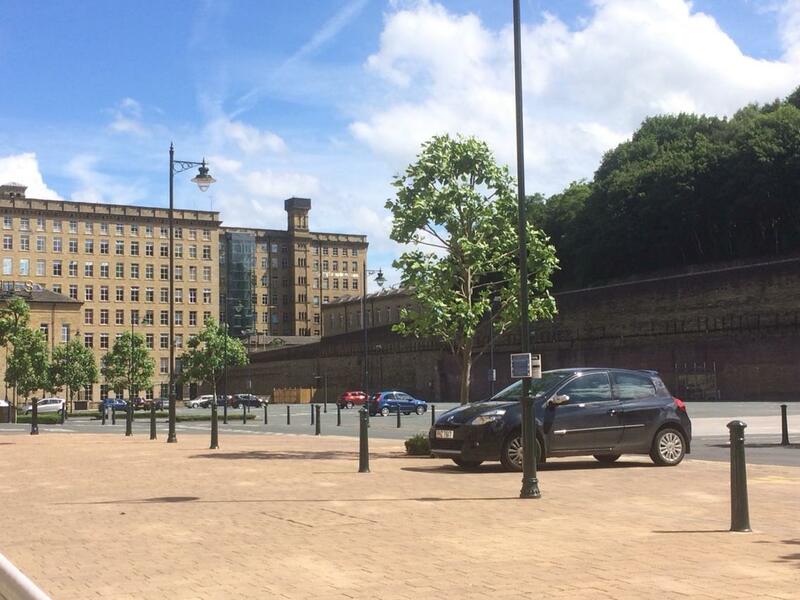 In this industrial township is the old cotton mill at Dean Clough which hosts the inaugural event for the Halifax Anime and Manga Society – HAMCon. It is here where I continue my summer convention tour after gracing Sunnycon in Sunderland two weeks ago. Despite the relatively short break between both events, I was keen to see a new event sprout up in the United Kingdom. I elected to drive to HAMCon and after a four hour drive from my home I was greeted by an impressive industrial complex which used to be a powerhouse in the Victorian era and now home to boutique shops, restaurants and an art gallery filled with local treasures, plus a hotel right on site! The convention itself was one of the final events to commemorate the Halifax Festival of Culture and what a way to end it by embracing the world of Japanese Animation in the form of a con! The premises is broken up into seven different ‘Mills’ and the events going on took place in two of them – D Mill and E Mill. D Mill hosted the events inside some of the conference rooms, main art gallery and the downstairs cafe. E Mill hosted the dealer’s room which had a small yet varied selection of artists, merchandise reps and snacks available to patrons. It ticked the boxes for what you would expect at an anime convention despite it being a little quiet. That being said, the building itself was nice and spacious as well as letting in lots of natural light and maintaining a good amount of ventilation to prevent conditions becoming a little stuffy. It certainly had the makings of a bigger and better space next year. The vendors were enthusiastic and chatty with one another and had a lot of fun despite periods of calm when other panels were going on. It was nice to witness the camaraderie in action. D Mill also hosted the main events. To get to it, you need to go down either a spiral staircase from the upper level or through the lower ground entrance and pass through Victorian archways and cobblestoned pathways. It felt so mysterious and atmospheric, I was loving every step; it had that rustic and industrial aura about it – tons of character. When you turn the corner, you witness two stands of seats facing a central plinth. I thought it was brilliant. 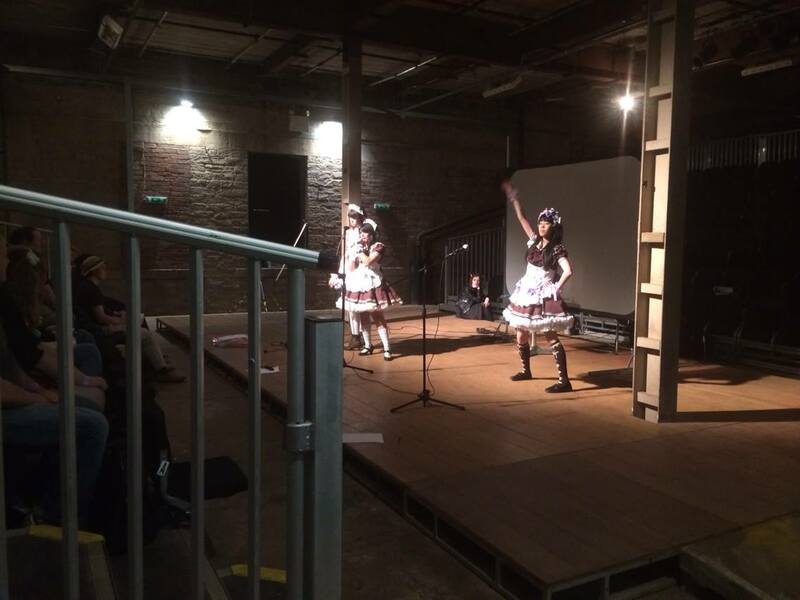 The audience can see no matter which side they were on and it felt rather intimate and cosy. In all, a great spot to host events. As I was one of the main guests, I’d be hosting my panel there on the Sunday; but on the Saturday, the main event was the performance by the Maids of England. Three representatives of the troupe performed to the crowd who enjoyed their varied set of dance numbers, song numbers and combinations of the two. As I didn’t have much to do on that day, I was able to get a good look at the gaming area which took up the main hall of the art gallery and made use of the space to have a good selection of consoles from Playstation 3s to Super Nintendoes. These were all donated by staff members and you got that feeling that the team worked together to make sure the event had something to do despite the smaller size. It also didn’t help that the Tour de France was going on around the town on both days, thus restricting access for any would-be attendees. Despite this, about one hundred and fifty arrived for the two-day event. Not bad! I was looked after by the con chair Hailey and the art director of the gallery hosting the event, Vic. Together they made sure my brief stay [I had to dash after my panel as I had to prepare for my next convention the following week!] was comfortable, sociable and that I wasn’t lonely or bored. There were some logistical issues at first with certain parts of the gallery being locked when they shouldn’t have been but these were quickly addressed with little complaint or fuss and things soon cleared up and regained composure. When it came to Sunday and my panel, I had a small gathering of people which was nice to have as it meant the panel became a nice, cosy chat which was fine by me! There I was able to answer questions and showcase something from TeamFourStar which would be released at the end of July to an eager audience. 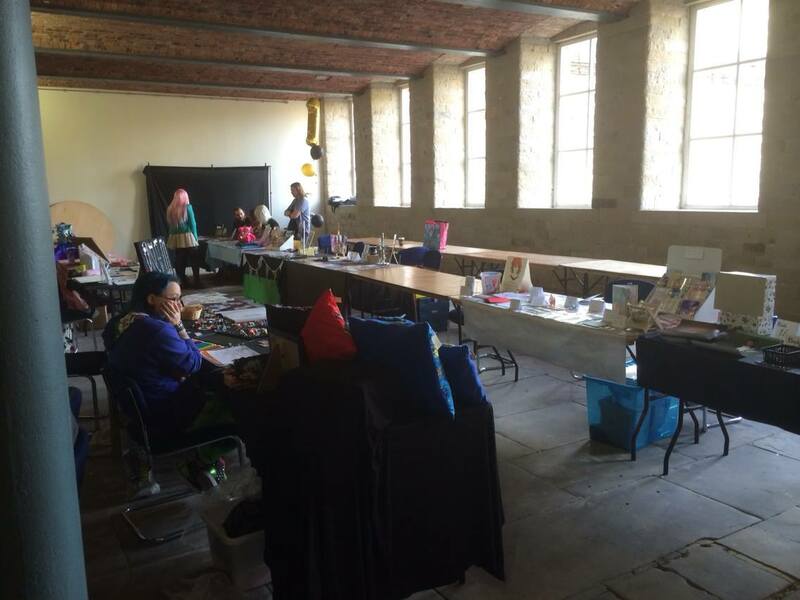 HAMCon goers got to be the first people in the UK to see what we had in the works. 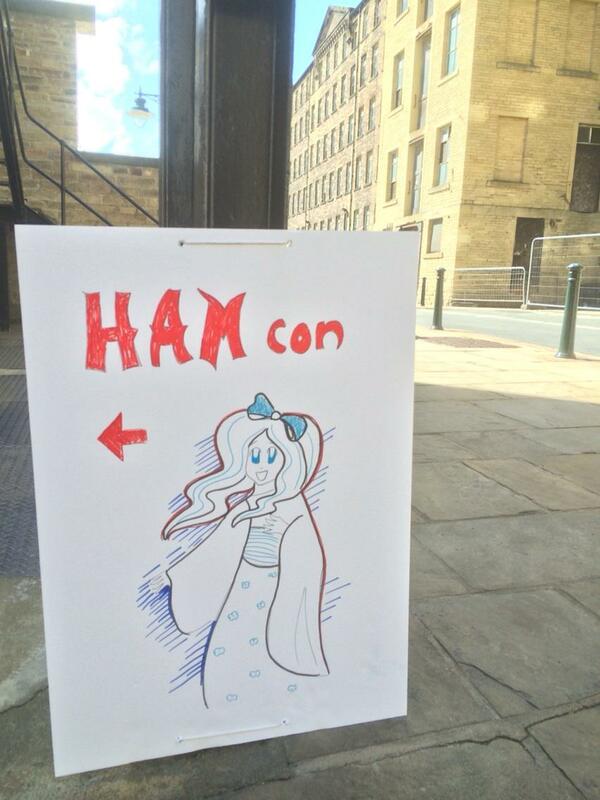 So HAMCon – a little convention in a small northern town but packed with big character and charm. The Dean Clough Mills are an excellent venue in which to grow and develop; especially for cosplayers with all the Victorian architecture and small corners where you could recreate some dramatic photoshoots. 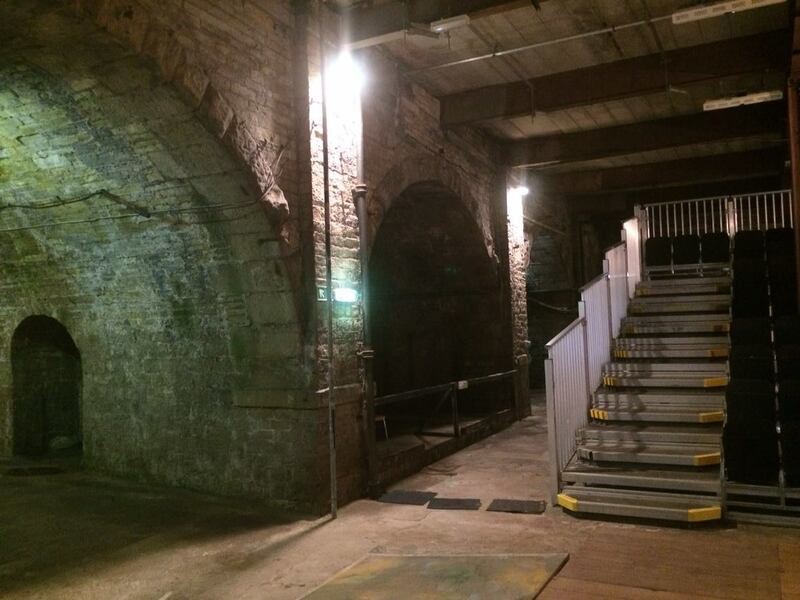 Not only was it a good space, it was a wide space where people can walk around and not feel claustrophobic. That is a crucial plus at a con; you need space to breathe! If the con can use these strengths and expand their reach within the mills, it could turn into a vibrant convention in years to come. I have confidence in the organisers to make something happening in Halifax. If you want more information about HAMCon and next year’s event, check out their Facebook page and website!